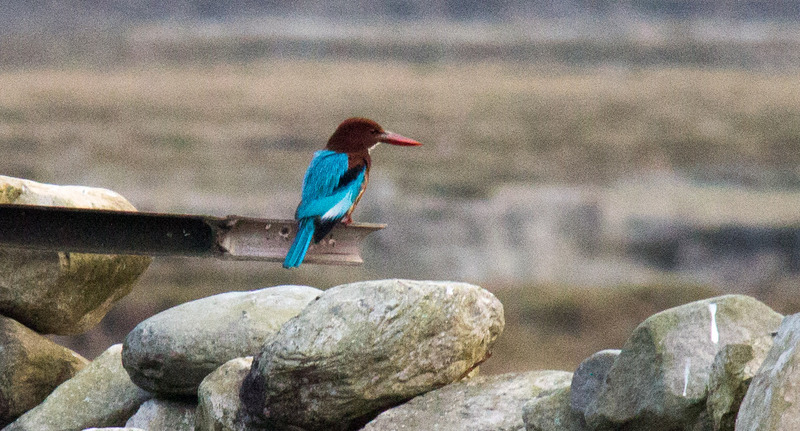 We were getting closer to Ivor, and to resuming our life on the road, but we were not there yet. We woke in our KL hotel and had ourselves shuttled to the airport ready for our last flight back to Nepal. After a Mc-Breakfast we boarded our flight, with the painful embarrassment of being the last ones to board. We will always argue that it was the fault of the display system in the airport in no way eluding to the upcoming departure, but with mild panic we found our seats. 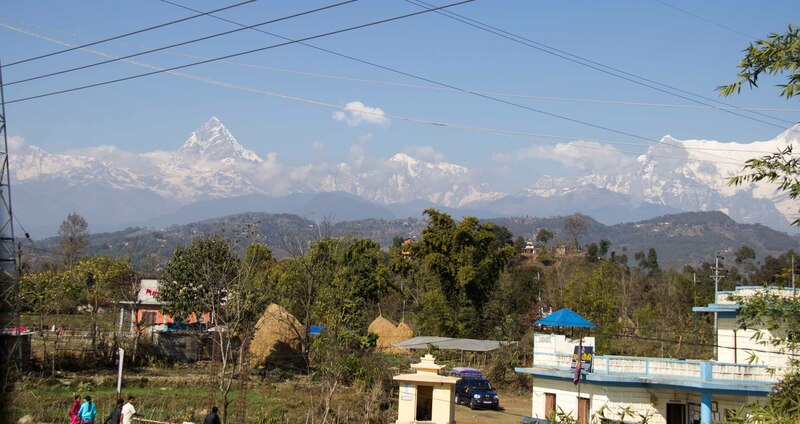 As we descended into Kathmandu we were fairly sure that we caught a glimpse of the Everest cluster of mountains, but the ‘No Electronics’ rule meant no photos; you’ll just have to take our word for it. We returned to a familiar hotel in town, to find the news that our passports had finally arrived in Perth – complete with their Indian visas. A day of hopping between coffee shops and absorbing their WiFi as fast as our blog and trip preparations could manage. We’d decided to stay in Kathmandu until our passports arrived, then submit for Myanmar (Burma) visas before heading back to Pokhara to collect the ever-patient Ivor. We could then pick up stickered-and-stamped passports on our journey east. Well done DHL (and thank you Becky and Matt for arranging it!) – Two passports with gleaming Indian Visas arrived at our hotel. Yippee, we could nearly get this trip underway. Tomorrow we’d be able to submit for Burmese approval and then we could make our escape from Kathmandu. In the mean time we toured our (now favourite) coffee shops to produce yet more of this lovely blog, among other mundane tasks. As per the above – our precious travel documents left in the hand of another admin clerk, forms were filled in, and passport-sized photos attached (and the appropriate fee handed over, of course). Nothing else to report for the day other than the trip-advisor recommendation of Rosemary’s Kitchen for dinner, wow this place was superb with a great twist on some classic Nepali cuisine – Why did we have to discover this only on our final night in the capital? (So we have to come back, one can only assume). 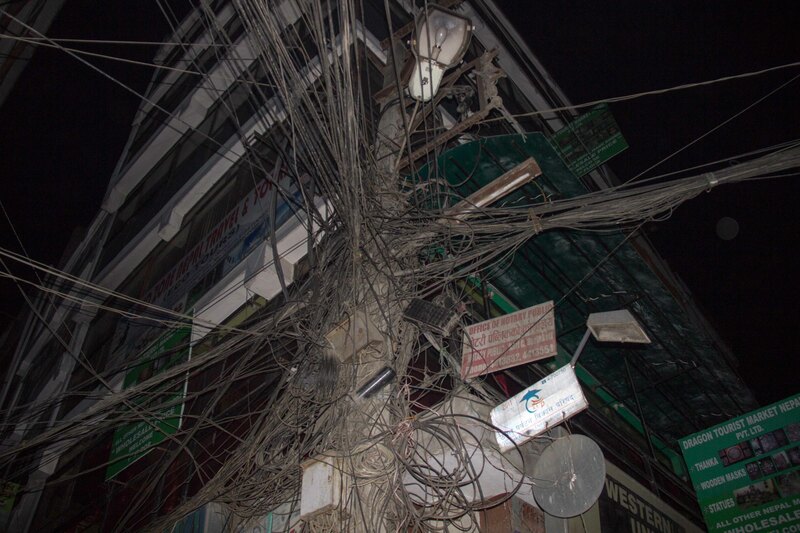 Some typical Nepali wiring, shot as we walked to the bus station. It was a painfully early start for a surprisingly sedate bus journey to Pokhara. We arrived early afternoon and immediately hailed a cab to find our truck. Ivor was safely where we left him in Shrikanta’s garage – he started first time, we just needed to dust him off a little and he was ready for the road. We surprised Shrikanta with some money; he hadn’t asked for any payment at all and seemed genuinely shocked to receive it. 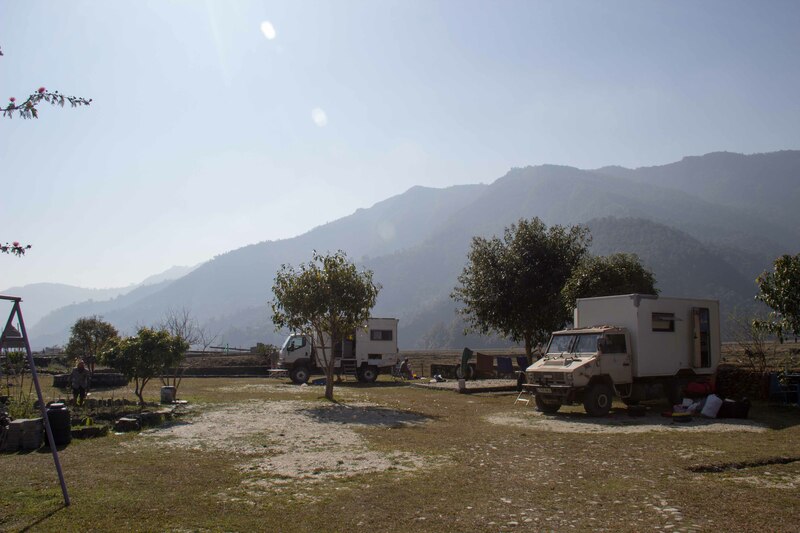 We pottered along the side of Phewa lake to the tiny village of Pamé, where we knew there was a campsite sympathetic to overlanders. That evening we walked back into town. Well, we started to walk, but then we were picked up by a bus full of ‘merry’ locals who gave us a free lift. We took in Turkish food for dinner, followed by a trip to our old favourite ‘the silk road’ where our high quality cocktails were accompanied by an eastern European folk band. See list above, but with breaks for cheese and tomato toasted sandwiches at lunch, and pasta for dinner. With a quick stop in town for Burritos, pick up some laundry that we’d had done, and to catch up with Jagan, who organised our Mustang cycling trip – since we’d promised him some photos. Although we had planned to finally ‘get this show on the road’, evening was drawing in, and we decided on parking in town for one more night. Tomorrow, we would finally be getting this mega-trip of ours back on track. 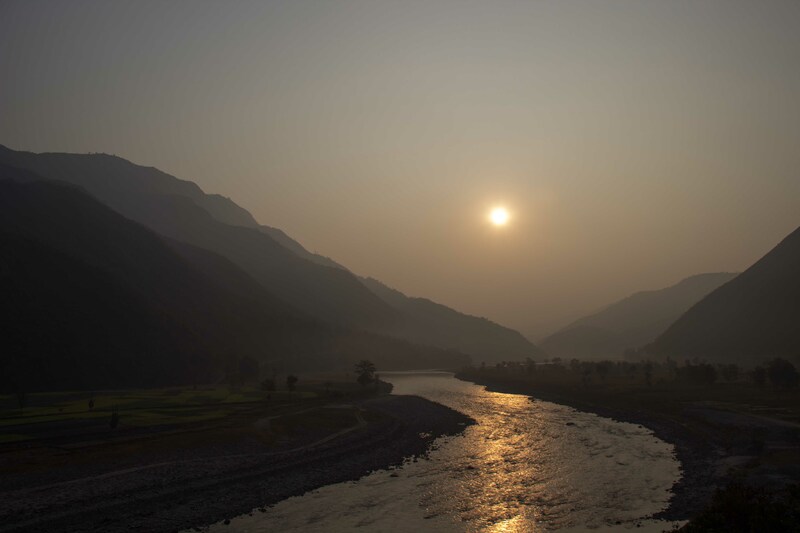 We were up early, and driving through the misty murk of the valley that leads us to Kathmandu. In the early afternoon we were reunited with our passports at the Burmese embassy – with its full complement of stickers and stamps – now ready for our journey further east. Settling on the more interesting (windy) corner cut towards the Indian border via Sindhuli. The GPS claimed another triumph over common sense as it directed us up a dusty trail up a hill that ended in a meter wide path, complete with flight of steps. Making the most of the error, we made ourselves lunch at the top of the hill and enjoyed the view. After re-tracing our way back towards more substantial thoroughfare, we continued east and parked up near a river to camp for the night. We’d hoped to make it to the Indian border today, but highway maintenance would put paid to that idea. The ‘diversion’ would probably involve the most serious off-roading of the trip so far. Some 60 kilometres after leaving the asphalt we would rejoin it again, the intervening distance would be filled with stream crossings, and scrambling up numerous super-steep climbs away from the valley floor, and easing our way back down again – even needing our low-range gear box at points. That night, we pulled off the road into some woods at what we thought would be a quiet enough campsite. It was not long before we received a knock on the door – there were a group of about 3 guys outside, and one of them was claiming to be from the police. The badge on his jacket shown through the window supported his claim, so we opened the door. He spoke enough English / charades to explain that he didn’t think we were safe, and that we should move next to the highway where there was a small collection of houses, so we did. One final push to the border at Kakarvitta / Raniganj, and we presented our passports and vehicle papers to the Nepali border guards – who dealt with them quickly, efficiently, and correctly. It was a short drive through to the Indian side, where we had the vehicle temporarily imported without a hitch. You have probably figured that since we have repeatedly said how well most things had gone that something was about to go a cropper. This upset would come at the Indian immigration. 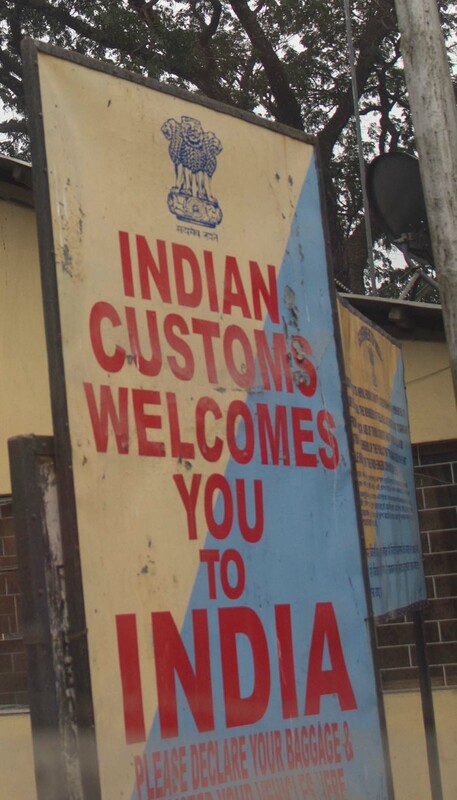 The stamp-wielding official in the immigration office took offence to the fact that we had exited Nepal using one passport, and yet our Indian visa was in a different one – and he therefore refused to stamp our entry into India. Hmmm, this left us in a tight spot. 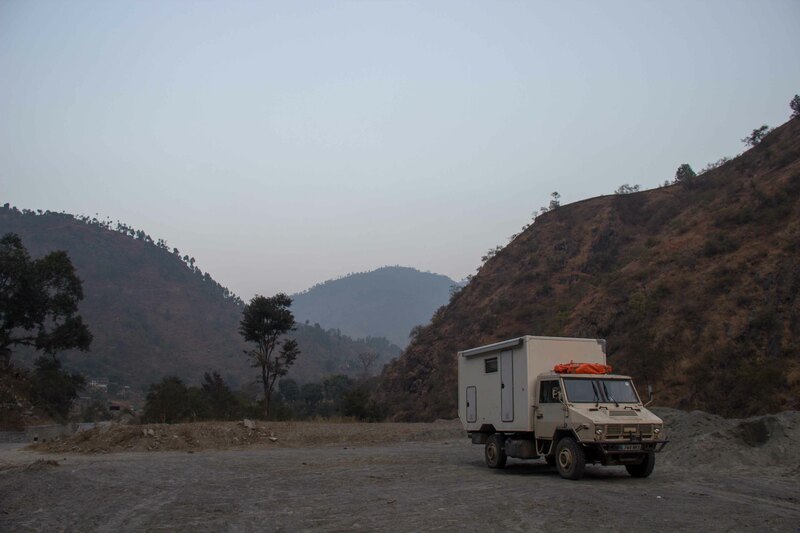 We shuttled between the Nepalese and Indian border posts a few times before it dawned on us that in some way, the idiot was attempting to scam us. The official on the Indian side was threatening to call his superiors, since having two passports for the same person in India was illegal (or so he claimed). We decided that the path of least resistance would be to go back to the Nepal side, and offer dollars until the (innocent and well meaning) border guard was prepared to be compromised to the point that they would give us a new exit sticker and stamp in our other passports. This also happens to be what the Indian border guard suggested to us as the ‘easy’ solution to our problem (which he had created). This did the trick, but cost us 50 USD and put us in a foul mood – but at least finally the imbecile in charge of the entry stamp could no longer disrupt our journey into the India. Whether some of those dollars made their way into the pocket of the dodgy Indian immigration official we will never know, but for now we were through. All that messing about had cost a lot of time, but not quite enough to prevent us from weaving our way up the mountain road to Darjeeling in time to find a parking spot before the sun went down. We found some good food in town, and it was good to put the stress of the day behind us. We had a lot to look forward to after all – the Burmese journey that had so far eluded us, the ‘Tribal States’ of north east India, and not least, the promise of a damn good cup of tea. « The Land Down Under….